For feeders we carry live and frozen mice sized from newborn pinkies to extra large adults. Rats are available live or frozen from small to large. Frozen only we carry rabbits, chicks, quail, african soft furs, and hamsters. We carry a variety of isopods and springtails. Great for amphibian and moist tropical tanks! Dubia (Blaptica dubia) and Discoid (Blaberus discoidales) nymph to large, great for animals that need a larger insect. True Death’s Head (Blaberus craniifer) another larger feeder roach. 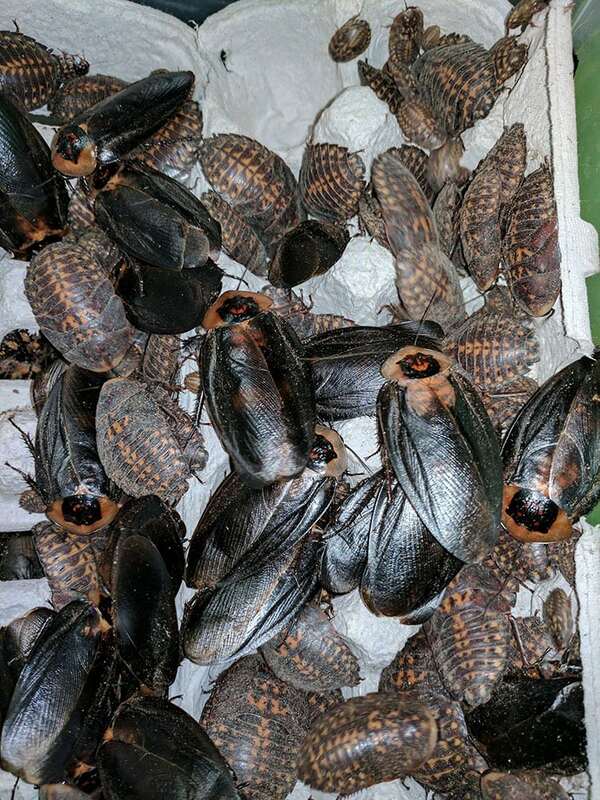 Giant Cave Roach (Blaberus giganteus) a very large roach, many kept as pets. Domino roaches (Therea petiveriana) is another pretty roach, these are a slower breeder and mostly kept as pets. 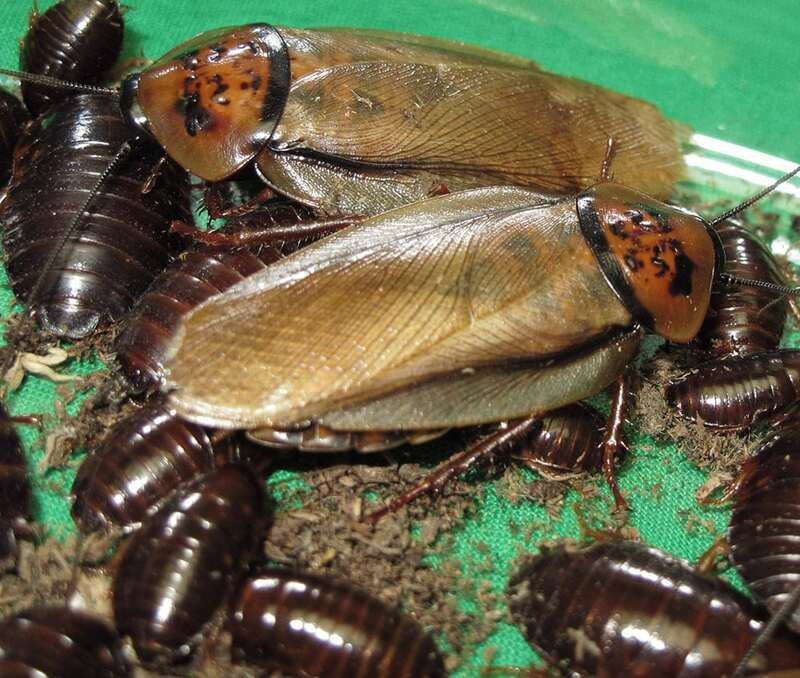 Hissers (Gromphadorhina portentosa) feeders and very commonly kept as a pet roach, especially great with kids. Horseshoe Crab Roach (Hemiblabera tenebricosa) Easy to breed, don’t climb glass, not too big but heavy bodied.